12000 advertisers from 88 countries are waiting to approve your blog. Even though Pay Per Impression ad networks have been in place for as long as I have been in Internet since 1998, I was taken aback when a well known blogger that I happened to meet recently in Bangalore stared at me when I asked him did he consider joining a couple of them because of almost no income off Google AdSense. I then asked him if he has heard of CPM ad network and he affirmed. I told him CPM (cost per thousand) is also known as cost per impression or pay per impression. CPM ad networks are web advertisements that you place into your blog that deliver targeted ads to your blog’s audience. Yes, it looks like a PPC (pay per click) type of monetization but certainly it differs. CPM pays you money for every thousand impression of your blog page in which you have placed the given ads. No clicks on the ads are necessary for you to earn. 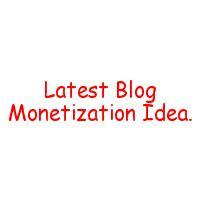 Blogs of multi niche with more than 10k traffic a month or more stand to gain a decent sum every month.